We’ve all got our stock answers for when we’re asked about our favorite film of all time. Not just that, but you also have to be able to provide a sturdy reason for why you love the movie, all while trying not to sound pretentious. No one can accuse Christian Bale of being the latter though, because when he was asked what his favorite film of all time was the Welsh actor rather surprisingly revealed that it is the Chris Farley-led 1997 comedy Beverly Hills Ninja. I always choose… the default answer for me is Beverly Hills Ninja. It’s an easy one to give because most people go, 'What? Oh, okay.’ But Chris Farley’s fantastic. Clearly I’ve got other films, but I just watched that two nights in a row and was crying with laughter both times, so I just went, 'Yeah I’ll give that as my answer.’"
Now not only might some of you find Christian Bale’s choice of Beverly Hills Ninja rather odd, but you also might be surprised that the famously intense actor went for an entry from the comedy genre at all. 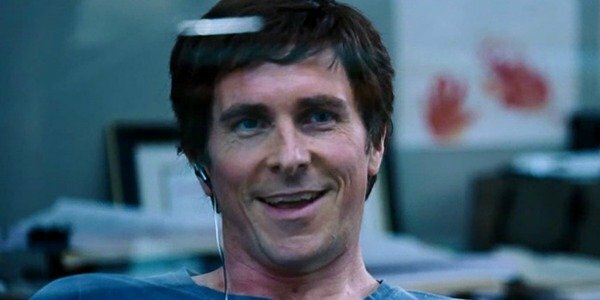 However, clearly, when Christian Bale isn’t playing Batman or shouting at a director of photography during filming, he likes to unwind by howling with laughter. And the tale of Chris Farley’s white orphan boy being found in a treasure chest by a clan of ninjas and then raised in their ways, before then traveling to Beverly Hills to investigate a murder mystery, is obviously the perfect tonic after a hard day’s work for Christian Bale. Check out a clip from Beverly Hills Ninja below to see if you can spot the appeal. I’m just crossing all of my fingers and toes that Christian Bale tried to explain the virtues of Beverly Hills Ninja to director Terrence Malick while the pair worked on the acclaimed filmmaker’s latest offering, Knight Of Cups. Because I'm going to take a wild guess and assume that's the only way it'd ever appear on the Badlands and Thin Red Line director's cinematic radar.